Three teenage suspects were charged with the assault, robbery, and premeditated murder of Onesimo Marcelino Lopez-Ramos, 18, a Guatemalan immigrant who had just finished working a late-night shift at a local restaurant in Jupiter, Florida. Interrogations of the suspects led police to believe that they specifically sought out local Latinos to beat up and rob. They are collaborating with a local prosecutor to have the case be considered a hate crime. “Suspects in this case specifically targeted members of our Hispanic community [....] We are looking for hate crime enhancements,” Jupiter police Chief Frank Kitzerow said at a news conference Monday. 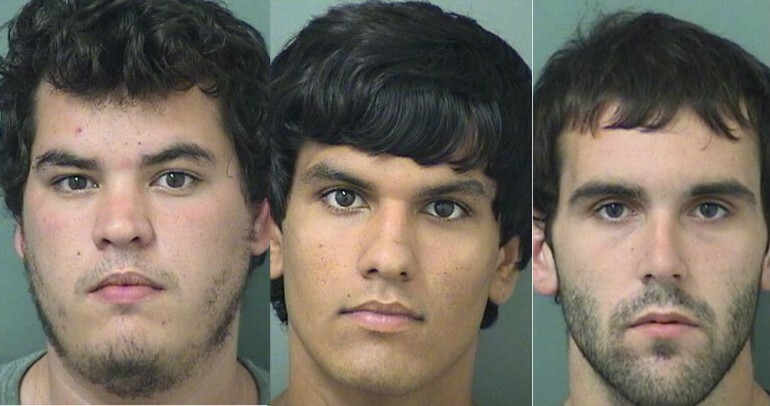 The three men are Austin Leonard Taggart, 19, Jesse Harris, 18, and David Harris, 19. All three are charged with homicide and robbery with a weapon. Additionally, Jesse Harris was charged with aggravated assault and using a deadly weapon, and David Harris was charged with a drug offense. All three were denied bail at a hearing on Sunday. The local trio were allegedly “hunting” for Guatemalans on the morning of April 18th when they came across Lopez-Ramos and two friends, who are also Guatemalan. After a few minutes of tense conversation, the Guatemalan youths attempted to leave. That’s when one of the three suspects reportedly hit Lopez-Ramos in the head with a large white rock and a steel rod. Coroners determined that Lopez-Ramos died from head trauma. His two friends escaped unscathed, but terrified after the death of their friend. Lopez-Ramos worked as a chef at Grande's Bella Cucina, where he had started as a busboy. Employers at the restaurant described him as “an old soul” who “took pride in his work,” in an interview with WPTV. According to his sister, who also works in the U.S. he sent every extra dollar he had to support his family in Guatemala. His body is being taken to Guatemala for a funeral with his family.